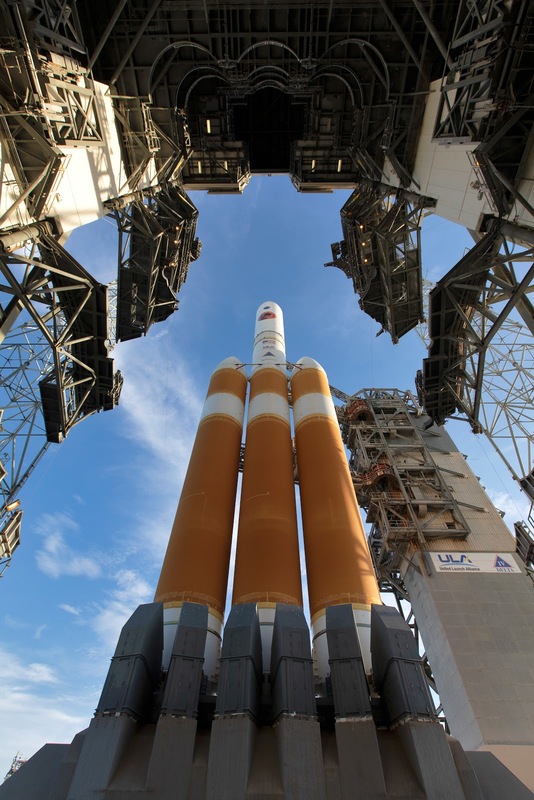 The United Launch Alliance Delta IV Heavy rocket that will launch NASA's Parker Solar Probe on a mission to study the Sun is seen as the Mobile Service Tower gantry at Space Launch Complex 37 rolls back on Friday, Aug. 10, 2018, at Cape Canaveral Air Force Station in Florida. Parker Solar Probe will perform the closest-ever observations of a star when it travels through the Sun's atmosphere, called the corona. The probe will rely on measurements and imaging to revolutionize our understanding of the corona and the Sun-Earth connection.